Check out our High School Grandstand Projects! Toadvine’s experienced sales team and project managers will work with you from start to finish on all aspects of your outdoor grandstand projects. Be sure to visit our Portfolio to see our many Grandstand projects. 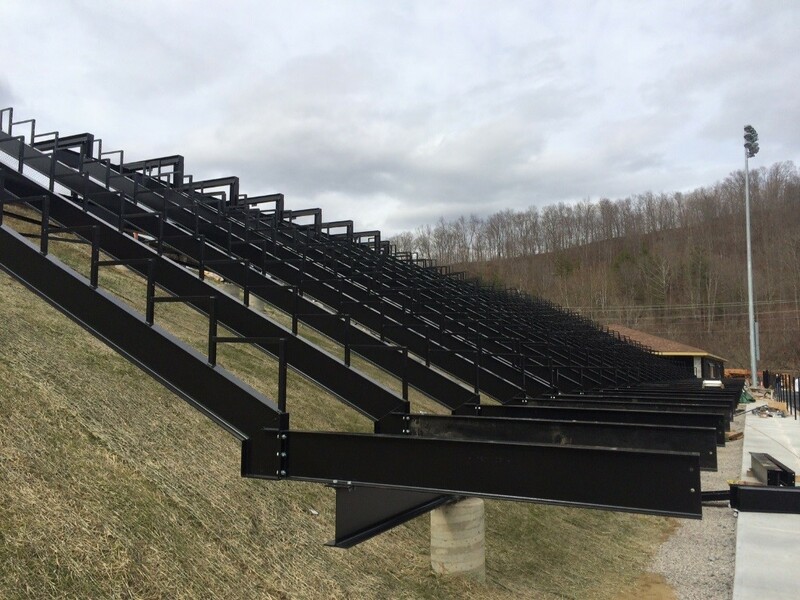 I-Beam permanent grandstands provide an excellent spectator seating solution and are ideal for hillside construction sites. This versatile design is available with a variety of decking, seating and railing options to best meet your individual needs. And we will work with you to develop custom stairs and ramps to meet all of your access, ADA, and site requirements. 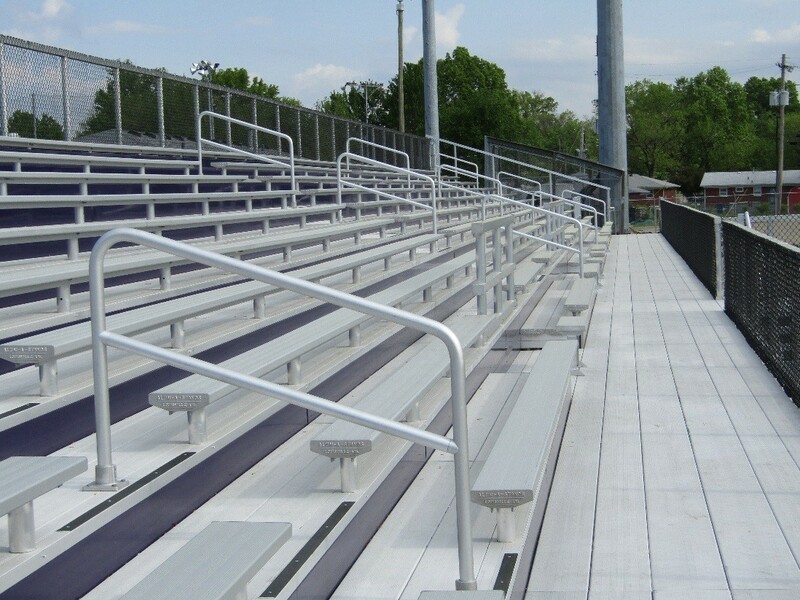 I-Beam grandstands are offered with a choice of finish applications and options that include press box support structures, aluminum seat boards, foot boards, riser boards, VIP stadium chair seating and railing. The steel beam understructure is offered with either a galvanized finish or a powder coated finish. Galvanized steel is the most durable, provides the highest level of metal protection available and is the first choice for many outdoor facility owners. 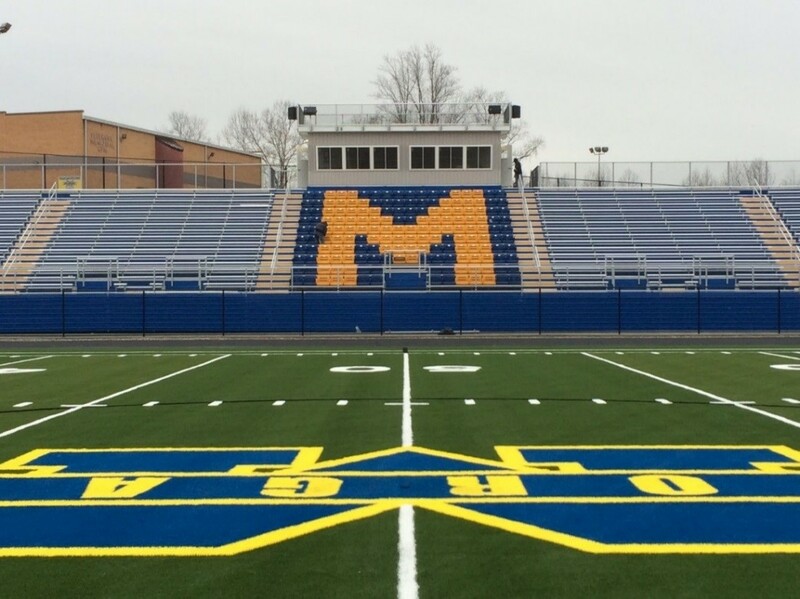 The powder coated finished understructure allows you to customize your grandstand to match team colors or simply increase the visual appeal of your spectator seating system. Seats, back rests and risers may also be powder coated. 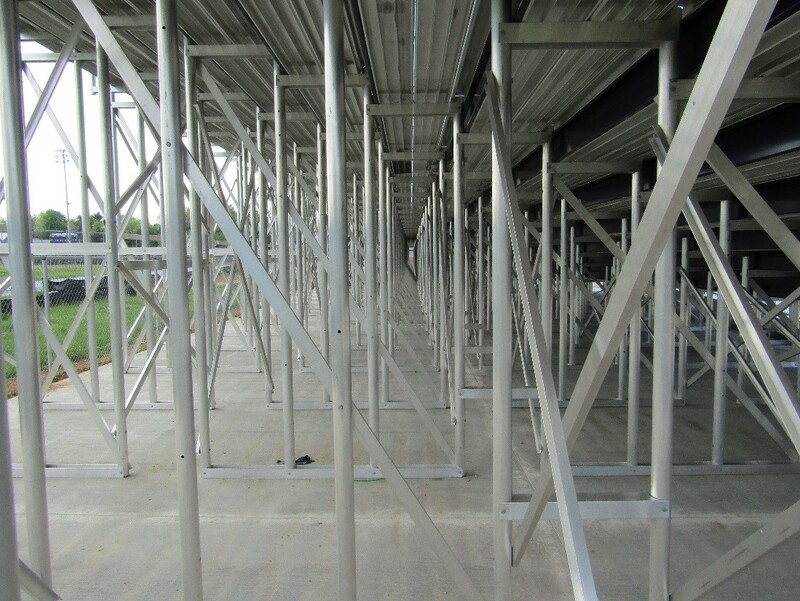 Another premium frame option for outdoor grandstands is the Alum-A-Stand bleacher solution provided through Dant Clayton. The Alum-A-Stand system is a popular choice of our customers and has been engineered for maximum strength and durability.